refractor mounted on a Losmandy Titan equatorial. The old GM200 has been replaced with a new Losmandy Titan. Check out Ann Dittmer's Lunar Photography. Here are some outstanding CCD images and Essays by Roland Christen. The New Classic Telescopes Catalogs and Manuals. Astronomical Images by Brad Wallis and Robert Provin. Click Here for the latest Southern California weather. Current west coast satellite photo. 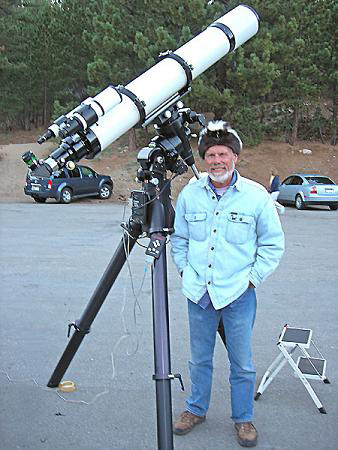 Member of the International Dark-Sky Association. hang a metaphysical system. If you must." "A wise man, ... proportions his belief to the evidence." "If it don't work, chrome it."